Traditional banking organizations are looking for options for developing digital banking apps or potentially creating a completely separate digital bank. Monzo, one of the newest licensed digital banks in the UK, provides a good guide for new product development and customer experience enhancements. As consumers rely more and more on digital banking apps, an increasing number of options are gaining a foothold, primarily in the UK, where regulations have been more accommodating. 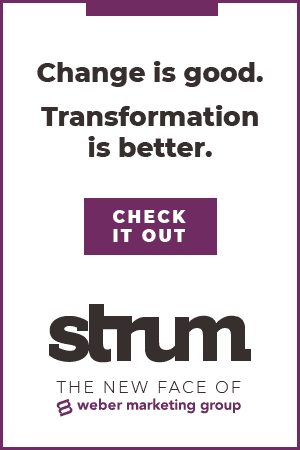 We are also beginning to see mobile-only options being offered by traditional banks such as Chase, Citi and Goldman Sachs, maximizing digital functionality while minimizing operating costs. One of the more interesting digital-only banks to watch has been Monzo in the UK. Similar to other digital offerings, Monzo is a no-fee, mobile-based solution that eliminates physical branches, checks and much of the friction that is part of a traditional bank offering. Originally introduced as a prepaid debit card account (named Mondo), the bank received its banking license in April 2017 and has launched a web interface to access the account if a phone is stolen, etc. Taking advantage of the Open Banking infrastructure opportunities, Monzo states that the organization is “focused on building the best [checking] account in the world, working with a range of other providers so that Monzo can be an intelligent hub for a customer’s entire financial life.” To support this goal, they are employing the help of hundreds of outside developers for API-based apps. Investment in Monzo has ranged from crowdsourcing to financial help from venture capitalists who envision a world where digital banks will prevail. While Monzo is just beginning to turn the corner on profitability, new customer account openings are running at a pace of close to 20,000 week, according to Tom Blomfield, CEO at Monzo. So, what sets Monzo apart from traditional, less-digital solutions? One of the key components of Monzo’s mission is complete transparency into the advances (and stumbles) of this new digital-only financial institution. One of the primary ways Monzo exhibits transparency is through their company blog. Since the first blog post on June 1, 2015 (‘Welcome to Mondo”), Monzo has used the blog to communicate everything about their organization and mission. They have used the blog to promote crowdfunding, present growth plans, seek input into fee structures, introduce new products, functionality and employees, and enlist support for developing and testing new product ideas. Most importantly, Monzo has used the blog to provide financial advice. More than 400 posts have been published over the last three years, providing anyone an opportunity to view Mondo from the inside. And nothing is held back on these blog updates. Many of the blog posts come directly from CEO Blomfield. Others are written by the marketing team, product development, and customer support. On May 22, Mondo published “The Big List!“, which was a list of priorities that Mondo was going to work on to make their product better. They even encouraged interested parties to follow the progress of their initiatives as they checked off the boxes on their Big List. 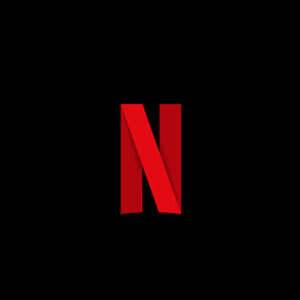 During the most recent quarter, Mondo had completed 11 out of 14 of the items on their Big List!, with an update as to when the remaining initiatives would be completed. They also provide monthly updates, capsulizing progress made in the ongoing building of Mondo. Finally, Monzo even shares their site reliability data for all to see. As a start-up, innovation and new product functionality occurs often and very quickly. This is important as Mondo is not only competing with traditional financial institutions in the UK, but also other alternative challenger banks, that also have a banking license and that innovate quickly to build a customer base. Accounts for Younger Customers: If a person is 16-17, they can now use Monzo. The account is the same as the one people over 18 can open, but with specific spending limits placed on the account. For instance, the account can’t be used for gambling. 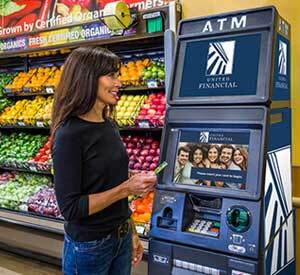 Outside of that, the account has easy account opening, real-time spending updates and budgeting tools, no fees and a debit card that can be used free anywhere in the world. Joint Accounts: Customers at Monzo can now open these. Joint accounts are separate from individual accounts, with the customer being able to switch the different accounts any time within the Monzo app. A separate debit card is issued for the joint account. As expected, the process for opening a joint account is very easy. Enhanced Bill Payments: Many digital banking apps allow consumers to pay bills with a mobile app. Monzo has enhanced their bill paying functionality to show customers the bills coming in the future. This helps to avoid unwelcome surprises. Monzo even lets customers to retry direct payments if there wasn’t enough money in the account initially. When a direct payment changes, Monzo also notifies their customers to avoid surprises. Rounding up of transactions. 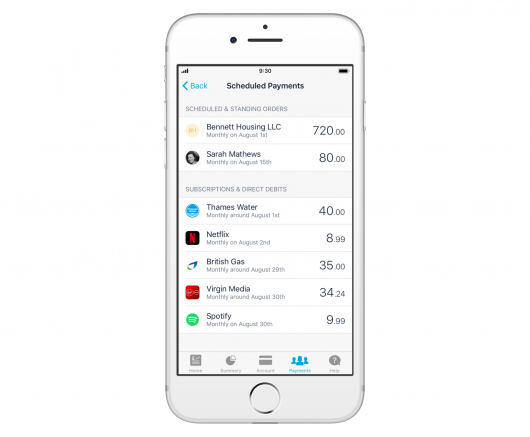 Customers can use their app to allow each transaction to be rounded up to the next pound. placing the ‘spare change’ into a ‘coin jar’ (a term similar to one used when many of us were kids). Money can be transferred from a coin jar to a ‘pot’ (used for larger goals). Set up auto transfers to “pots.” For customers trying to save for an upcoming purchase, holiday or vacation, transfers can be established from the primary checking (current) account to a number of different “pots.” Transfers can be stopped and started at any time and money can even be transferred seamlessly out of a pot. The pre-set goal for each pot is always shown on the mobile app to encourage reaching of the goal. Mass Customization with IFTTT: Customers can automate virtually any administrative function since Monzo is connected with IFTTT (“if this, then that”). According to Monzo developer Simon Vans-Colina, the link with IFTTT will let customers build their own tools to automatically manage their money. “We’re not launching one thing, we’re launching infinite things all in one go,” he says. Monzo has also developed several “applets” which can be integrated instantly. The links can be made between Monzo and any of the 600 services that currently work with IFTTT, including Spotify, Alexa and Instagram. Automated Switch Service: The UK has a simplified financial institution switch service that is available to anyone in the UK. 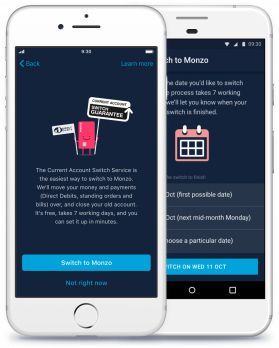 Monzo simplifies the process by processing the switch on behalf interested consumers. Measuring Customer Satisfaction: Every time a customer contacts Monzo with an issue, they will be asked how well Monzo did afterwards. A short survey is sent to every customer that gets in touch with Monzo, and an emoji 5 point scale is used to rate how the experience went. In recent ratings, Monzo has scored well over 90% satisfaction. Overdrafts and Lending: Monzo introduced overdrafts as its first lending product early in 2018, and has stated that close to 40,000 customers have opted-in to the option on their accounts. Monzo has said that this is the first step towards offering new lending features in the future which will positively impact revenues for the bank. 24/7 Live Customer Support: While Monzo is a digital account offering, that doesn’t mean humans are absent from the process. In fact, Monzo has opened a customer support facility in Las Vegas to handle customer calls after the lights go out in London. This eliminates ‘swing shifts’ using customer support personnel during more reasonable business hours. 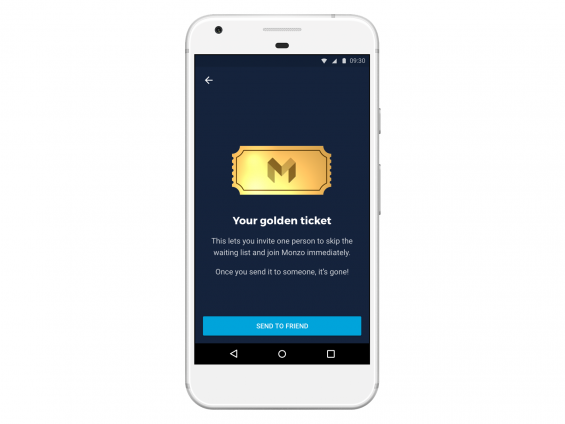 Easy Referrals: Initially established to allow friends of Monzo customers to bypass the line of prospects wanting to open new accounts, the ‘Golden Ticket’ referral program is still in place as a way to send a friend an easy account opening link. 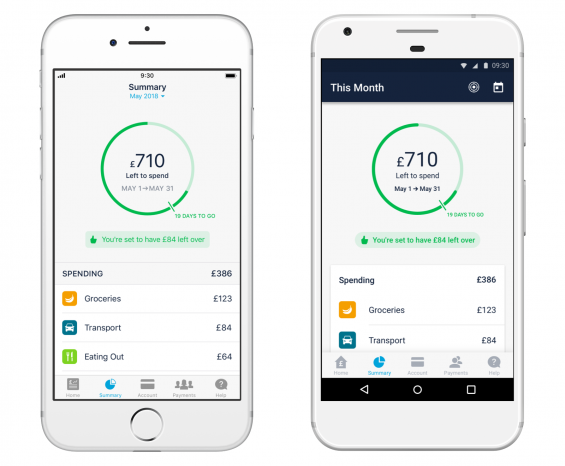 Money Management: The budgeting tool from Monzo, called “Summary” gives customers control of their budget. The Summary tab on the app shows how much a customer has to spend each month in a color-coded dial. Spending targets can be set, transactions can be exported and all of the insight is available in real-time. Probably the most recognized challenges for a digital bank start-up are awareness and scale (number of customers), funding (and profitability), and customer engagement (becoming a primary financial institution). Each of these challenges are somewhat unique to a digital start-up and don’t impact many digital-only extensions of traditional banks’ product lines. According to a recent study by MoneySupermarket, the awareness of the Monzo brand still lags the larger legacy banking organizations. At an awareness level of only 10%, Monzo even lags peer challenger bank Atom, which has an awareness level of 19%. Raising awareness requires marketing investment, which is difficult when profitability is priority one. As noted in Monzo’s blog regarding performance of the bank over the first 12 months after receiving their banking license, operating losses continue to be a challenge. But losses are falling as efficiency is increasing. For instance, costs to manage a single active account have dropped from $83 in September, 2017 to less than $20 recently. The per-account costs should continue to drop as Monzo moves closer to their 1M customer 2018 goal, but a concern remains since 80% of new customers still do not deposit their salaries in their Monzo account (reflecting a secondary account status). Monzo’s ultimate goal is to become the “financial hub” for several million customers to manage their entire financial portfolio. Tom Blomfield has said that “more and more people” were switching to Monzo, with more than 40% of new customers depositing at least $600 every month. Monzo is one of dozens of digital-only banking start-ups that are responding to the changing consumer. But, why should a banking executive in the UK, US or anywhere else in the world care about an organization that has fewer than 1M customer (for now)? One reason is because it is a learning opportunity around services that a digital consumer would like. From automated savings solutions to the ability for a customer to build their own rules-based digital financial management tools, Monzo and other challenger banks are setting the bar for what every financial institution will need to offer sooner rather than later. New digital-only institutions like Monzo, Starling, Atom, Digibank (India), Finn by Chase, Citi’s new digital-only app and other entries are all digital banks that are inherently more flexible, quicker to adapt to user needs, more user friendly and more personal than traditional banks. Their biggest advantage is that they start with a digital platform using the latest technology. Traditional banks will soon need to determine how to respond to this challenge from outsiders. Monzo may be a good guide to follow. This article was originally published on September 5, 2018 . All content © 2019 by The Financial Brand and may not be reproduced by any means without permission.